This adorable sloth baby bodysuit is the perfect gift for babies. 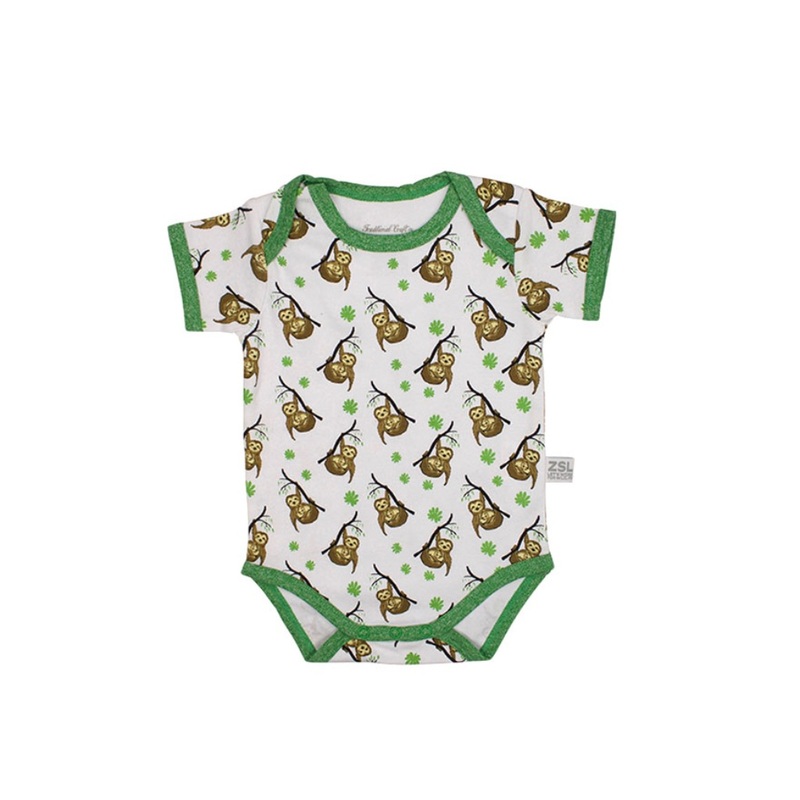 Made from 100% cotton, Featuring cute illustrations of sloths across the bodysuit with bright green piping around the edges. This bodysuit is a great addition to little one's wardrobes. The bodysuit has as a popper opening underneath so that dressing and changing is fuss free. Matching bib available making this the perfect gift.